It increases oxygen supply to the cells to help burn fat. Uttanasana is a yoga pose that works on your abdominal muscles. If you are dreading to go for a party just because you can’t fit into your perfect dress or suit, then try yoga for weight loss. Yoga will help you lose the extra flab and make you feel good about yourself. Yoga is always thought as calming and not as a cardio exercise. But when you do yoga to lose weight, you will see the results in some time. It offers an excellent cardio workout, resistance training and stretch training to regain and maintain flexibility besides weight reduction. 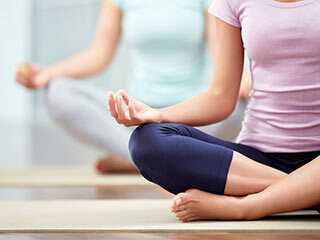 Most of the yoga asanas for weight reduction emphasize on breathing that creates calm and serene states of being. It increases oxygen supply to the cells of our body and helps in burning the fat cells. Some of the examples of weight loss yoga asanas that involve deep breathing are kapalbharti, pranayama and anulom-vilom. Each time you practice these asanas for weight reduction, you burn extra calories to get rid yourself from the layers of fat on your body. These also help in toning the muscles and increasing their endurance level. Following yoga regime regularly helps in fat management of our body. 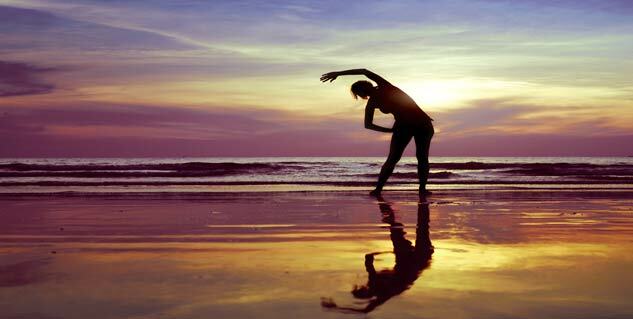 The most effective one is Surya Namaskar or Sun Salutation. For a week if you do 51 rounds of Surya Namaskar in a day, you will be amazed at the results. This pose is excellent to tone your lower body and get fat off from it. If thighs and buttocks are your problem areas, practice the yoga to reduce weight. Raise your hands above your head and join your palms. Stretch your arms in a manner to reach for the ceiling. Slowly bend sideways from your hips, keeping your hands together. Keep your elbows straight feeling the stretch from your fingertips to your thighs. You will feel the stretch along the side of your stomach and back. Get back to the start position and repeat this pose on the other side. Also referred to as the warrior pose, veerbhadrasana stretches your back and strengthens your core. This pose helps you get rid of fat from your midsection. Stand with your feet together with hands by your side. Extend your right leg forward and the other leg extended backwards. Bend your right knee so that you get into the lunge position. Twist your torso in a way that it should be facing your bent right leg. Now turn your left foot sideways for extra support. Straighten your arms and raise your body up and away from your bent knee. Tilt your torso backwards so your back forms and arch. Stay in this pose for 3-5 seconds. To get back to the initial position, straighten your right knee and push off your right leg. Now, repeat the steps with the other leg. Hands can be used for the support if you don’t feel comfortable. Moreover, never rush out of this pose as there could be an injury to your back or legs. Utkatasana, also known as the chair pose, helps strengthen the core muscles, thighs and tones the buttocks. Stand straight with your hands folded in namaste form. Raise your hands above your head and bend at the knee. Your thighs must be parallel to the floor. Hold the pose as long as you are comfortable. Get to the initial position and repeat it at least 5 times. Also known as the tree pose, vrksana focuses on the muscles of your stomach and abdomen. This asana of yoga for losing weight flattens your tummy in no time. Transfer your weight on one leg and raise the other leg such that your foot is facing inwards and towards opposite knee. Place the heel of your foot on your inner thigh of the other leg. Raise your hands above your head making sure your fingers are pointing towards the ceiling. Hold the pose for as long as you are comfortable. Repeat the steps on the other leg. Stand straight and raise your hands from the front to above your head. Bend forward pushing your buttocks back until your palms touch the floor and your forehead touches your knees. Bend your knees a little to be comfortable with the pose. Also known as the badhakonasana, this yoga pose is the best thing you can do to strengthen your thighs and lose weight as well. Start with a sitting position with legs stretched out in front of you. Slowly bend your legs at the knees and pull your legs in so that your heels touch each other and they are as close to your pelvis as possible. While holding your legs at the ankles, move your thighs up and down, just like the wings of a butterfly. Do this as many times as you can. Only dieting and exercising doesn’t help. Combine it with yoga and there’s no other better way to reduce weight. Besides practicing yoga you must watch what you eat. Stay away from deep fried and fat rich foods. These affect our digestive system. Take 6 to 8 small meals during the day. Eat fat free food and maximize the intake of fruits is the key. Unlike weight loss programs that offer paid-help in reducing x-amount of weight, yoga for weight loss is still the safest choice. It tends to work upon the body in uniformity especially your internal organs. 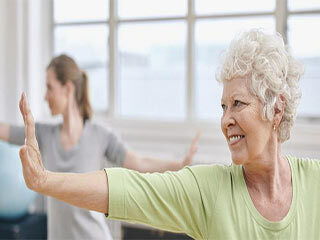 Going to the gym can help you burn the calories but then yoga makes sure that your internal organs function smoothly. Make sure you practice yoga under a yoga expert/therapist because doing yoga in a wrong manner can cause hormonal imbalance. If you have a spine injury, digestive disorders, high blood pressure, shoulder injury, diarrhoea, knee injury or are pregnant, take your doctor’s advice on practicing yoga and what are the safe poses for you. What are you waiting for? 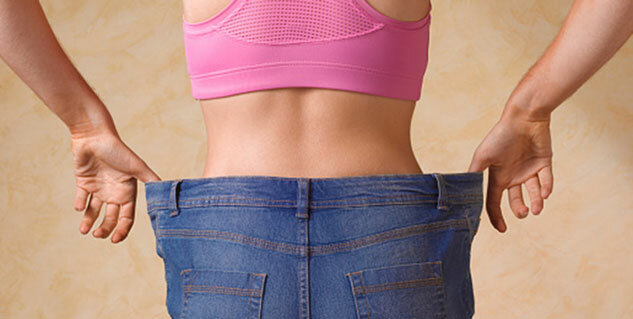 Trim down and slip into your favourite clothes you thought you’d never wear again if you try yoga for weight loss.